(JTA) — A former leader of Israel’s National Security Council defended U.S. National Security Adviser H.R. McMaster against claims that the American general is hostile to Israel. Yaakov Amidror, a reserves major-general of the Israel Defense Forces, offered his backing for McMaster in a Jerusalem Post op-ed published Sunday that he co-authored with Eran Lerman, a former member of the Israeli council and an intelligence specialist. 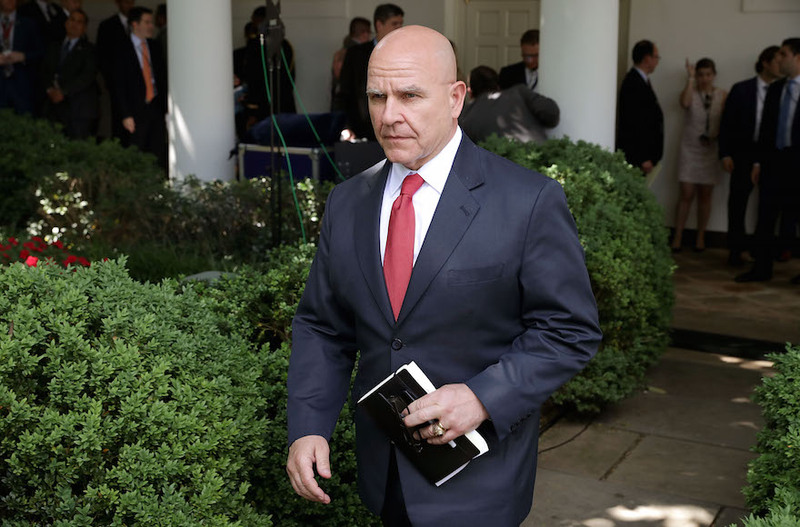 The Zionist Organization of America, one of the few Jewish organizations to consistently defend President Donald Trump, issued a report Thursday sharply critical of McMaster. The American Jewish Committee has defended him. In its report, the ZOA said that McMaster is undermining Trump’s Middle East agenda and the relationship between the United States and Israel by firing officials supportive of the Jewish state and critical of the Iran nuclear deal. It noted Ezra Cohen-Watnick, the hawkish former senior director for intelligence on the U.S. National Security Council. On Aug. 3, Trump called his national security adviser “very pro-Israel,” an apparent bid to end a barrage of attacks from the right that have depicted McMaster as hostile to the Jewish state. “General McMaster and I are working very well together. He is a good man and very pro-Israel. I am grateful for the work he continues to do serving our country,” Trump said. Axios reported Monday that some White House officials were “startled” by the force of the ZOA’s statement. The same article noted that one of the top donors to ZOA is Sheldon Adelson, one of the biggest backers of Republican candidates. Whatever the reasons for McMaster’s decision to “relieve certain senior National Security Council officials of their duties, antisemitic or anti-Israeli sentiments were certainly not part of the calculus,” Lerman and Amidror added.